Self-driving cars will be a reality within the next decade, and motoring and tech companies are scrambling to test different services and business models, and gain a deeper understanding of how best to deploy the vehicles. In 2016, Ford's president and CEO, Mark Fields, said the company intends to produce high-volume fully autonomous vehicles by 2021. It said it wants to create a fleet of self-driving cars that will operate similar to the likes of Uber and Lyft - through a service-based model. In preparation for this, Ford has begun tests in collaboration with the city of Miami to deliver food and packages to consumers in and around the city. The motoring company will be testing how the cars work, as well as how to maintain them properly before rolling them out to more areas. Sherif Marakby, Ford VP of autonomous vehicles and electrification, says Miami was chosen because the city was recently listed as the 10th most congested city in the world, according to the Inrix Global Traffic Scorecard, and the fifth most congested city in the US. He says there is clearly a need for innovation, and the mayor of the Miami-Dade County, Carlos A Gim'enez, has a track record of applying technology to help improve life for residents of the county. "He's on the forefront of thinking about the future of transportation, leading a county that already offers a diverse set of transportation modes, ranging from ride-hailing services and rail to buses and bike sharing...He understands the potential of self-driving vehicles and how they can fit in, interact with, and enhance all of those modes and more. That's why this collaboration makes so much sense," says Marakby. The first pilot programmes involve pizza takeaway place Domino's and logistics company Postmates. "What we learn from this customer experience research will be applied to the design of our purpose-built self-driving vehicle that we plan to launch in 2021 to support the expansion of our service," says Marakby. Ford will look into the best ways for employees to stock vehicles and send them off, as well as how customers interact with the vehicle and retrieve their order. "Another way to think about it is to consider the costs of convenience. Today, deliveries can be made to someone's door, though there is usually an extra charge involved. Oftentimes, drivers illegally double-park when they can't find a space, potentially causing traffic congestion for others. A self-driving vehicle won't need to be tipped and it won't park illegally," says Marakby. The Domino's pilot is already up and running in Miami, and Postmates will be launched in March. Uber will test self-driving trucks in Arizona. 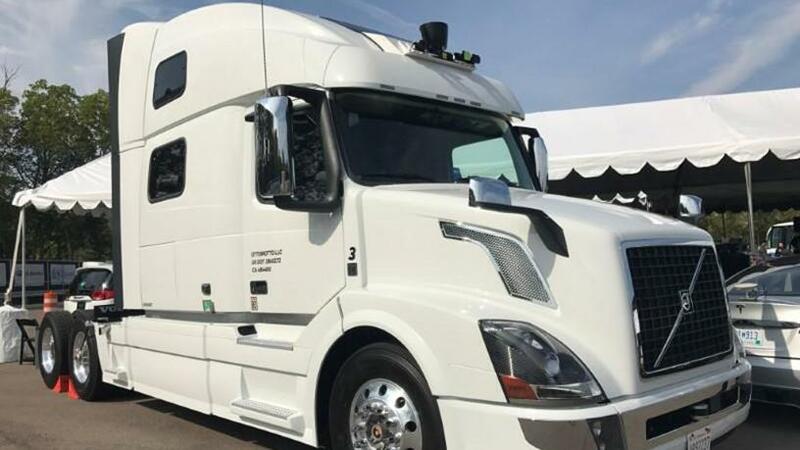 Meanwhile, e-hailing taxi service Uber has announced it has been testing self-driving trucks on Arizona highways in the US. The service, called Uber Freight, is part of the company's shipping-on-demand division, and Reuters reports is part of Uber's plans for autonomous vehicles to work with truck drivers to move freight around the country. The self-driving trucks are not completely unmanned; a truck driver is still required to sit behind the wheel, and will have to do some hands-on work that Uber has not yet automated. The trucks will only 'self-drive' on longer distances, where roads are mostly straight and similar. Reuters reports transportation experts have predicted the earliest applications of autonomous driving technology will be in trucks, thanks to the relative predictability of long hauls on highways compared with busy city streets. ITWeb digital and innovation editor.